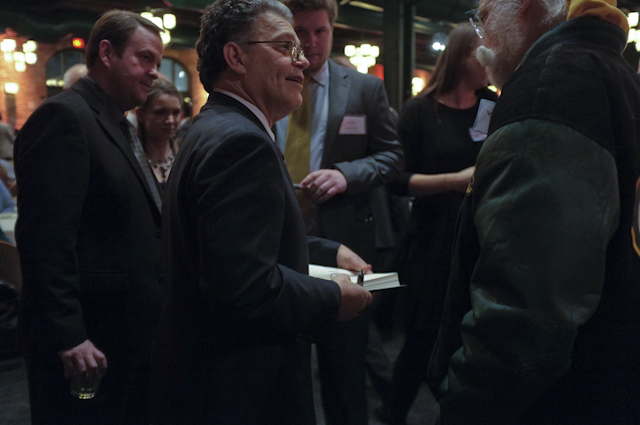 Senator Franken’s Holiday party was originally scheduled on Dec. 14th but the gathering was postponed in light of the tragedy that had happened at Sandy Hook Elementary School in Newtown Connecticut. Too hard of a day to be in any kind of a festive mood. Today it was a post new Year connection of friends and supporters marking the beginning of Al’s road to re election in 2014. 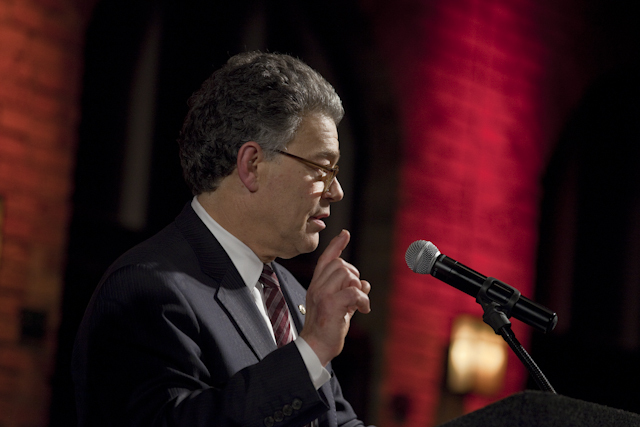 News came this week that Norm Coleman will not be looking for a “rematch” against Senator Franken. Perhaps he remembered how well that worked for Rudy Boschwitz against Paul Wellstone and made his choice to sit this one out. So far it seems no one is stepping up to the challenge on the Republican side. Al constantly credits his wife Franni for his win….his 312 vote win. 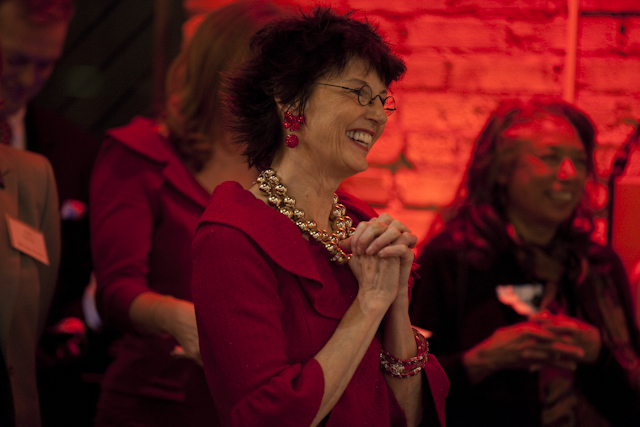 Everybody loves Franni and she is a tenacious campaigner. They also announced tonight that they will be grandparents this May. 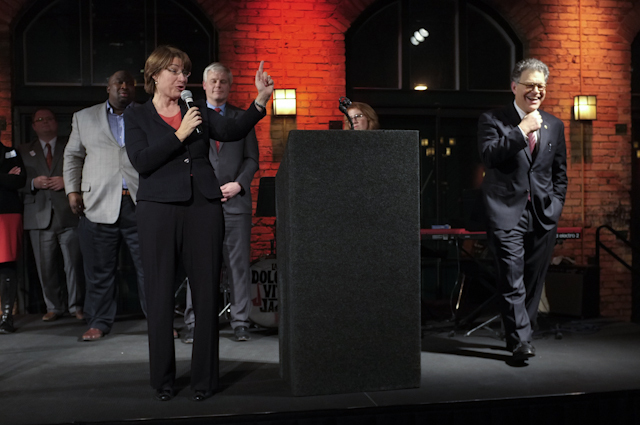 Senator Amy Klobuchar cracked up Al proving once again that she is the funny Senator. So here we go. The building of Team Franken 2014 has begun.